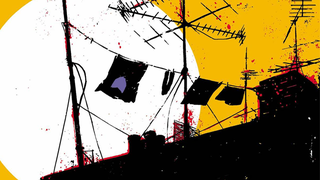 Matt Fraction and David Aja’s Hawkeye series was one of Marvel’s biggest surprise hits when it began in 2012, but fans are still waiting for the last issue — and they’ll be waiting a little while longer. Hawkeye #22 has been pushed back again until June 10th. Hawkeye #22 was originally due for release in late February, after Hawkeye #21 went through its own series of random delays — the issue was originally planned for release in December last year, but only came out on February 4th. Likewise, it seems the same unknown issues have pushed back the final issue too, which was pushed from February to this week at first, but now has been delayed again to June. This in turn has prompted the news late last week that Marvel’s collection of the series’ second half, Hawkeye Volume 2, will now release in November rather than the previously planned September. It’s even gotten to the point that Hawkeye has actually had a new comic, All New Hawkeye, start before his previous series ended! So we’ve got 2 months to believe Hawkeye #22 will finally hit shelves. Will it though? Place your bets now!